Dr. Carol Beechy is a doctor with Bassett Healthcare in Cooperstown, New York. Dr. Beechy was born in Wooster, Ohio in 1948. She grew up there with her two sisters as the daughters of two Mennonites. She later went to Goshen College in Indiana for her undergraduate degree. After graduating, she moved to Kentucky where she briefly worked in politics before attending medical school. During her time in medical school, there was a 10% cap on female students and she experienced sexism from her teachers. In 1977, she moved to Cooperstown, New York, and started a residency at Bassett. She began working as an attending in 1985. She specialized in primary care, though she now focuses on palliative care. During this interview, Dr. Beechy discusses sexism, changes in the medical field, and the shift that Cooperstown experienced from a predominantly farming community to one focused on tourism. She talked about what Cooperstown was like when she first moved here, as well has the changes it has experienced over the years. Dr. Beechy talks about her partner Katie Boardman, the Cooperstown Graduate Program, the First Presbyterian Church, and the Bassett Healthcare Network. When transcribing, I added some words for clarity and removed others. There was a clock in the room where we were conducting the interview that occasionally chimed. Additionally, Dr. Beechy’s phone went off near the end of the interview and I paused the recording while she answered it. Though I included a note of this interruption in the transcript, I did not add the clock chimes. 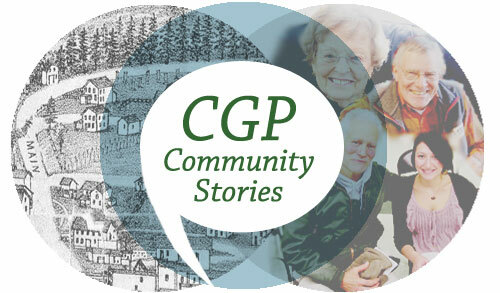 This is the November 9, 2016 interview of Dr. Carol Beechy by Amanda Belli for the Cooperstown Graduate Program oral history collection, CGP Community Stories. Can you tell me where you were born? So I was born in Wooster, Ohio. Where my family all grew up. My family was Mennonite. Both my mother and father were first generation to be educated beyond eighth grade. Both were in education, both taught. I had an older sister and a younger sister. My older sister was in education. My younger sister was a nurse but has run a health food store for most of her career. What were they like? [laughs] We were all pretty motivated in terms of education and in terms of doing something that would make a difference in the world. We were pretty close as a family, still are. My mom’s 98 and still doing well. My older sister died of a rare malignancy that was diagnosed when I was an intern 30-some years ago and she died two years ago. We’re all, I guess I would say pretty liberal. Had a lot of fun, did a lot of travelling, particularly the summer after fifth grade for me. Mom and Dad needed to get some continuing ed [education] credit which they did at University of Wyoming in Laramie, and we spent the rest of the summer traveling around most of the national parks and Mennoniting our way across people that Mom and Dad had known, particularly when they were conscientious objectors during World War II. So, what made you decide to go to college out of state? I went to Goshen College where my mother and father went and both sisters went. It was not my first choice, but my folks said you need to give it a try and it was either that or drop out and work for a while to establish independence so I could go to college. So I tried it, it was a good match for me. It was during the Vietnam War time so it was very politically active at that point. Did you do a lot in politics? Probably wouldn’t call it politics. I was very active in the anti-war and anti-racism movements. Thought that I would be an organizer. I was part of an intentional community which fell apart. So I didn’t start out planning to be a physician. I didn’t decide on being a physician until I’d been doing some . . . I had worked as reporter for a year and decided I wasn’t going to do that. Then did a bunch of traveling, working grape harvest, intentional communities. And then I was in West Berlin working in a nursing home. My advocacy for one of my patients got me fired and that helped me decide that I would become a physician rather than a nurse. Thinking that I would have more power; well, I don’t know that that was very accurate, but that was part of what happened. So when I came back I had to do a little more undergrad before med [medical] school. Went back to Goshen to do that. Then worked in Eastern Kentucky for a while. Then ended up going to med school in Kentucky at Lexington, University of Kentucky. How did you end up in East Berlin? Well it was West Berlin. I had friends there. Went to see them, decided to work, got my working permit. Most of the work I had done before then did not require work permits. So you went to med school in Kentucky? What was med school like? Well, it was a pretty traditional med school. It had started out with a commitment to community medicine. So politically it made sense, but the person that was spearheading that left the year I came. I’d been out of college for a while so I had to sort of learn to study again and had to study harder than I had any time before. I loved what I was doing. I loved everything. I loved pedes [pediatrics], I loved surgery, I loved OB [obstetrics]. It was a time that there was a 10% limit on [the] number of women in the class. There was a fair amount of sexism at that point. Not only the 10% limit, but I had gotten the prize for surgical third-year student and did an acting internship in surgery and didn’t get to do anything and I thought it was my own fault. But it wasn’t. As it turned out the surgeon that I was working with primarily, who’d been great when I was a third-year resident, wouldn’t let me do anything because he thought women shouldn’t be in surgery. This was of course the same time that the head of the department was recruiting me for the program and I did not go there. Was there a lot of push back by the men in the program that you were doing so well? Not so much by my fellow students. But I think still from some of the faculty. Is that still something that you see today? Not nearly as much. I think occasionally it still is a problem. There are times that I think sometimes maybe people would be more comfortable with a man that has a more traditional approach. But that’s much less of a problem than it was when I started. When I started, I did my residency here at Bassett in Cooperstown and I also did a chief residency, which is a teaching position. I still remember when I was taking a team around and at that point it was all women. I was obviously a woman, my senior resident was a woman, my interns were women, the third-year medical student was a guy. It was not uncommon for our patients at that point or families to address the guy as though he was in charge. But that doesn’t happen nearly as much at this point. What are some of the unique challenges to being a woman in the medical field? I think while we make choices, I think women are a little less likely to choose a more paternal approach. But I think in general there’s much more emphasis on shared decision- making. While I don’t have kids, it’s still clear that for many couples, even if they’re both physicians or the woman’s a physician, that still a lot of the child care and arrangements for that rest on the women more than the men. Although I have a nephew who’s a doc [doctor] and his wife’s a doc and they have two kids and they really do share the child care. However, we do know that women are still paid less than men are. They are still less likely to be heads of department, chief of medicine. So, there’s clearly still an issue. Could you explain to me what community medicine is? Well, it's medicine that’s really looking at what the needs of the community are. It’s actually come back into favor in somewhat of a different way than it was back then. Back then it was probably more a political statement, saying that we have responsibilities to the community as a whole. Now it’s very clear that it’s coming from partly a political stance, but also very much an economic stance. How do we care for people in the community, particularly someplace like Bassett which has essentially a closed shop? You know, we’re all on staff. We have grown in such a way that it’s very hard for other physicians, nurse practitioners, P.A.s [physician’s assistants], whatever, who are not part of the Bassett system to have a practice here. So what is our responsibility to providing care for patients in the area? How can we do a more efficient and effective way of doing that? So it’s looking at things like starting school-based health care. It’s looking at trying to do much more education about diabetes, healthy diets, some of the risk factors that are modifiable. For me, since I’m in Palliative Care, it’s really trying to encourage patients and their families in the community to think about what their goals are before they get just caught up in continuing to do the next thing and the next thing and the next thing, even if it’s not helpful. Does that sort of answer your question? Yeah. What’s it like doing that sort of medicine in a small town like Cooperstown? What kind of medicine? Do you mean palliative or community medicine? Well I think, we have always sort of done that. Because by virtue of being in a small town we mostly know our patients not just as patients but also as members of the community. Although Bassett is a tertiary care center, so it’s not just a community hospital or a community center. So we do get patients from the surrounding areas that we won’t know. But I think there are some, both benefits and challenges to practicing medicine in a small town. Just as there are to being a doc or being a teacher or doing work. You both know your patients and sometimes get caught in, how do you maintain confidentiality? Can you tell me a little more about those benefits? Well, I think the benefits are that you have a sense of what their life is and what’s important to them. But you may not know unless you ask. I did primary care for a long time and was out in Richfield Springs with a nurse practitioner; we did house calls. While house calls take a lot of time, they are invaluable for letting you know what’s going on in the patient’s life. What’s reasonable, what’s not, to ask of a patient. You get much more insight into what’s going on. And even house calls are coming back. We have a colleague of mine who’s doing nothing but house calls now up in the valley. And I suspect more of that will happen as we take responsibility for outcomes. So that whole idea of responsibility for outcomes rather than responsibility for process is something that has come with the accountable care organization that was part of Obamacare [the Affordable Care Act]. Who knows today exactly what’s gonna happen with health care over the next four years? I suspect it will change less than people think. I think it would be hard to go back on some of the insurance part of it, that patients can actually get insurance without being dinged for prior illnesses, kids can still be covered up to twenty-six if they’re students. I think it’s going to be very had to go back on that. And the idea that what we’re really looking at and what we’re being paid for or reimbursed for is the outcome rather than fee for service, which is what it had been before. And you said that house calls were coming back? Yes, clearly house calls are coming back, but in an interesting way, of course as usual. There’s still more much more fragmentation of care. You have your primary care physician or nurse practitioner, PA [physician’s assistant], you’re likely to have a cardiologist if you have any heart disease, you may have a gynecologist, you may have a pulmonary doc. If you come into the hospital, you’re generally taken care of by a hospitalist or one of the teaching teams rather than your primary care. And what has happened with house calls, or at least in the models that I see now, it’s not so much that it’s your primary care person that is doing those house calls as that it’s someone who is doing only house calls. So I think things are very much in flux at this point, and will remain so. Would you say that house calls, that model, is easier in a small town? No, not necessarily. I think house calls in some ways are easier in a city because everything’s sort of there. When I was doing house calls, when I was doing primary care out in Richfield, it would not be unusual for people to come twenty or thirty miles to see me. So doing a twenty to thirty mile house call would be two hours, at a minimum. So, if the person lives in town then it’s easy, but most of us had a practice that was partly geographic and partly people wanting to come to a Bassett primary care person. And they may be coming, you know, as far as sixty to one hundred miles away. So what drew you to Cooperstown? I looked at a number of places to do my residency. I didn’t know what I wanted to do, I wanted to do everything. This was highly recommended by one of my residents when I was at Kentucky, so I came and looked at it. I loved the idea of having a really good program academically that was in a small town. I could actually live out in the county. Then what kept me here was a variety of things, I liked the idea that I could be in a teaching program without having to publish. I was not particularly drawn to research or publication. But I was certainly drawn to teaching and patient care, so the ability to do that. In addition, by the time I finished my residency, it felt like I had become part of the community here. It was both a community that was actually partly the Cooperstown Graduate Program. I didn’t tend to hang around with other residents as much because I figured I did enough medicine the rest of the time. And then also I began attending the First Presbyterian Church and that became quite an important community for us. If we don’t teach how do we pass on what we know? I think medicine is part science, part art. I think over the last thirty years or so, there was a lot of emphasis on the science part of it and less emphasis on the art part of it—not that listening well and communicating well isn’t science as well, but that’s certainly a central part of primary care and palliative care, is listening, trying to find out both what’s wrong and what are the strengths. What are the goals? Before AIDS [Acquired Immune Deficiency Syndrome] hit, which was just as I was leaving my residency, there was a sense of undue optimism, that we could conquer everything. That certainly there was no infectious disease we couldn’t treat. And when AIDS came along it totally changed that optimism. It is now primarily a chronic illness that can be treated, but in the first ten to fifteen years, maybe even longer than that, it was a fatal illness that was killing young people, no matter what we did. And there was risk that we as their care providers would contract it. Was that something that you were treating a lot? Not initially. This area was not a hot bed in the same way that San Francisco or some places in Eastern Kentucky or whatever. There were places that were much more hot beds of AIDS than here. But I do remember a patient of mine who was a gay black man. He did not have HIV/AIDS and he had an illness we did not understand very well, and I remember coming up and finding that someone had put him on precautions and people wouldn’t go in and give him his food. That didn’t happen much, but it happened enough that it was awful. I think it raised important ethical issues for docs that they hadn’t had to think about, or for the medical community, not just docs, nurses, etc. That they hadn’t thought about for twenty years or so. When we thought that we could treat anything; it was just a matter of time and science. So there’s a fair amount of AIDS, but at this point it’s much more a chronic illness. And what were some of those ethical issues that came up? Well, with AIDS one of the ethical issues was, since there was a risk of contracting AIDS, you know from needle sticks, from whatever, did we have a responsibility to treat? And there were some people who argued that we didn’t, early on that it was just gay men or addicts and that they didn’t deserve treatment. I think that was roundly rejected. Then, not so much related to AIDS but related to what we can do and what we should do, are I think some of the big issues now ethically. We can do a lot to keep bodies alive, but not necessarily getting better. I think that’s part of what drew me to bioethics and I had chaired the ethics community for a number of years, and then ultimately to palliative care. We have not conquered death. People are going to die, and we have some choices now about how we die. Do we die hanging on to every last breath on a respirator, on dialysis, hanging on tooth and nail? Or are there other things that are more important at end of life? You know, helping people work through that is one of the things I do that I enjoy doing. It was in contrast to having worked in Africa. I worked in Africa a couple of times shortly after residency. There, the ethical issues were very different. They were about not having enough, and who got the rabies vaccines, who got the rare antibiotics, who got surgery, who got transferred? When there’s not enough, who gets care or treatment? What did you do in Africa? The first time I was in Africa I went through the Mennonite church, to a place that had started out as a mission hospital but now was run by the Tanzanian Mennonite church and took over for someone who was on sabbatical. I had just finished my residency in internal medicine but mostly what I did was I did a lot of pediatrics, did a lot of infectious disease. We were seeing what was called slims disease at that point which was early HIV. I did leprosy, TB, did surgery. So it was eye opening for me. I knew intellectually that being a doc I could contract something that could kill me, but it was there that I really understood that we make choices about what we do and some of them put us more in harm’s way than others. Since I was a conscientious objector and it was during Vietnam, that was part of why I chose to go overseas. I felt like I had to put myself at some kind of risk that was different. I would never have gone to the army, but I had to be as willing to put myself at risk as people who were going into the military. I found the work really interesting and fascinating, came back, and had hoped to be the first doc at Bassett who was actually based outside of Cooperstown. There were some things that took a while to sort out for that. So I did some other work in Little Falls and Utica and watched as a couple of male doctors were hired instead of me and they were in no way any better than I was, but I think were hired because they were males, and they were friends. So then I went back to Africa, at that point there was an Ethiopian civil war and hordes of refugees coming out of Ethiopia into the Sudan. So I went and did refugee work and that was probably the most challenging work I’ve ever done but very rewarding as well. Was it difficult being a woman doctor in Africa? Interestingly, no. And I was worried about that, not so much in Tanzania, but going to the Sudan, which was a Muslim country, I was worried about that. But there you’re more or less treated as an honorary male. That was before the coup, so it was a fairly liberal Muslim society. We had some wonderful support from some of the Muslim administrators that I worked with. So, no, it didn’t seem to be that much of an issue. Can you tell me a little bit about your thoughts or feelings about being passed over for those male doctors? You always wonder is it something that you yourself, you know, not related to being a female, or was it primarily that I was female. And I think I was always a little slow on the uptake. And more likely to blame myself rather than see what was clear. It made me pretty angry, not only for me but for some of my colleagues. What was acceptable for men was not acceptable for women. Particularly in terms of being assertive. I would say that’s better now, but it’s still periodically an issue. So, you know, I think there’s still a fair amount of sexism in medicine. You had asked earlier if being a lesbian was an issue. When I came back in the 70s, I was semi-closeted. Particularly at the hospital. But that didn’t last long. I had sort of made the decision it wasn’t worth it and that if there were people who didn’t like it, it was their problem. And it did not seem as much of an issue as being female. Now it may have been, but people didn’t talk about it. But, it did take a number of years before they started covering my partner’s health insurance. And that happened before we were able to get legally married. What happened I think was there were clearly enough of us that if they wanted to be able to hire good people, whether it was surgeons, nurses, whatever, that they needed to do that. But that probably didn’t start until ten to fifteen years ago. Was that ever a problem in Cooperstown or this area? I suspect for some people it is. And probably still is. But it hasn’t seemed to affect what I do that much. If it is, it’s their problem. I know that you’re part of the church. How is that? Again, I think the church has grown over time. When I came, I joined the church in part because it was clearly the most socially active and politically active church. The long- time pastor had hired one of the women who were coming out and having difficulty finding positions other than youth ministry or education. He took a cut in salary and shared his salary with her, as well as had her live there with he and Jean. So there were both issues about being a female and being gay. Certainly initially I could not hold office in the church. Pretty early on, before the Church as a whole took a stance that we are all equally children of God, and hence equally able to participate in the Church, the church here in Cooperstown did so. We’ve been what’s called a More Light church for some time. And I understand we’re now known as the church with the rainbow flag. [laughs] So at this point I think that it’s clearly not an issue in the church. Well, I shouldn’t say that, it’s an issue that’s seen as a justice issue. We would call a gay pastor; at this point the pastor that we have is not gay but she is a woman. We’ve had a number of marriages in the church, including Katie [Boardman] and my second celebration. I’ve been on the session, which is the governing body, as has Katie, as have others. So at this point it’s not so much an issue as a thing for justice and celebration. How has Bassett changed since you first started? Well, when I first started it was Mary Imogene Bassett Hospital. It was a hundred and eighty beds, which is still what we are, but there were no other hospitals affiliated with it. There were at that point, I think, three or four nurse practitioner primary care practices out in the community. Now it’s Bassett Healthcare. There are, in addition to Cooperstown, there are five other hospitals, there are about twenty other practices. It’s much larger. It has a lot of the issues of health care everywhere in terms of growth. How do you grow? How do you change? How do you hire good people and then support them rather than micromanage them? So part of the change is change that is Bassett, but part of the change is what’s happening in health care in general. And unfortunately, you had mentioned the health care industry before, when I came you didn’t advertise. There weren’t advertisements about medications, there weren’t advertisements that said come to my practice. So it became much more of an industry, and I think that has become a problem. Ironically, the last time that I think we had a chance of single party payer, which is what most other developed countries have, we’re known as without health insurance, was back when Nixon was in office. Unfortunately, nothing happened with that. I think at this point the amount of money that’s involved in insurance and big pharma [pharmaceuticals] and in big medicine is making it very difficult to change how medicine functions. It functions much more as an industry rather than a service or a right or however else one can think about it. So those are indeed some of the ethical issues as well. What do you do when people don’t have insurance? It used to be you cost shifted, now you can’t cost shift. What will happen if Obamacare is rescinded? Forty thousand people that didn’t have insurance have insurance, will that go away? Do you think that there are any ways to improve the health care industry? [laughs] Yes. But they would take a lot of political capital. [President Barack] Obama came in hoping to change it. What we have is very much of a compromise and part of the cost of the compromise was not taking on big pharma, not negotiating costs of medication. Part of it was not really taking on big insurance. And now we have big I.T. [informational technology]. So, I think that it’s going to be really tough to change. And I don’t hear any policy from [President-elect Donald J.] Trump at this point, other than get rid of Obamacare. And that is frightening. On the other hand, clearly Obama was not able to do all the changes he wanted, so hopefully Trump will not be able to do all the changes he wants. So, you have an active role in your church. Do you think that that’s really improved your quality of life in the Cooperstown community? Absolutely. I think what the church community has done for me is to remind me and give me support, remind me that materialism is not the ultimate goal, getting rich is not the ultimate goal, getting power is not the ultimate goal. That being loving, making a difference in people’s lives is much more the goal. I think having a community around to remind you of that is very helpful. I just had surgery, Katie had to be away, and it was primarily friends and church family that brought me food, stayed with me, and made it possible for Katie to teach down in New York City while I was recuperating. How has your faith affected your medical career? Very much, because I see it as a calling, not just a job. And I see it as a calling to be loving, to make a difference in people’s lives. That was part of choosing primary care, but at the time I chose primary care, many people were choosing it. Now very few people are choosing it unfortunately. Certainly you know, I think it’s helped me have the strength to not burn out. To remember that medicine is more about people than it is about money and power. And teaching likewise. So, I think it’s had a lot to do with both my quality of life and how I do medicine. Do you see a lot of other doctors or nurses, people in the medical industry, burn out, so to say? Well, burnout is a big issue at this point. That’s part of the reason few people are going into primary care. I left primary care primarily because I wanted to do palliative care and get a palliative care program going. But I think had I stayed in primary care, I was certainly at risk of burning out. There’s so much emphasis on seeing a lot of people, something called RVUs, Relative Value Units, sort of our widget measuring. I think the risk of burning out got a lot worse when electronic medical records came in. It was supposed to solve all sorts of problems, but one of the things it did was to shift secretarial duties on to clinicians, whether it was docs, nurses, nurse practitioners, P.A.s. So it added an hour and a half to two hours to our days from the get go. And it hasn’t gotten a lot better. Now they’re doing things like having scribes. Recognizing that it really is a waste of a clinician’s time to do all of that stuff. I think that plus all of the emphasis on seeing a lot of patients, but not necessarily seeing them well. Fewer people are in private practice; I never wanted to be in private practice, that was actually one of the things I liked about Bassett, that I did not have to do that. But now most clinicians and most health care systems behave as though they are, as businesses, and forget that the bottom line is patient care. I’m not foolish enough to forget that you have to make your bottom line to continue to care for patients, but it’s very clear that it’s moved over to administrators, instead of being there to help us do our jobs, see themselves as running us as widgets often time. The business of medicine is sort of overshadowing the call and the care. If we don’t do that, we shouldn’t be doing it. And why did you not want to be in private practice? Oh, I really did not want to have to do the business end of things. And now I have to do more of the business end of things. If you don’t do it then you’re at the mercy of someone who is not a clinician at all. So I was happy not to do the business end of things. Bassett for all of its blemishes, will never turn someone away for care. They’ll go after them to get paid [laughs], but they won’t turn someone away for care. Earlier you talked about being the first doctor associated with Bassett but outside of Cooperstown. What does that mean? Everyone else’s clinic, every other physician’s clinic, was in Bassett hospital in Cooperstown, when I had my office out in Richfield Springs. Now there are far more primary care docs with their offices outside of Bassett. So it was really getting past Bassett as a very special community hospital. But Bassett from, not so much from the get go, but when it was built for Mary Imogene Bassett by one of the Clarks. Then it sort of fell on hard times and it was after World War I that some young Turks from Columbia [University] came up and decided it was a great place to do not only great patient care but teaching and research. To have that going on in a rural area was very unique and has changed over time. We no longer do bench research, but back before I came, some of the basic work in doing bone marrow transplant was done here. So, we still try to do all three things. I can’t remember what you just asked. You answered it, it’s okay. You talked about your family earlier. Are you still really close with them? Yes. One of the good things about being in Cooperstown is it’s a sophisticated enough small town that it’s very accepted that Katie and I are family, both at church and in the community and at work. But I’m also very close to my blood family. Most of whom still live in Ohio. My mom’s 98, lives out there. She just moved from the house I grew up in to assisted living and I try to get out there about once a month. My older sister just died about two years ago, my younger sister still lives out there. There are four nephews, Katie and I, decided not to have kids. And now a great nephew and a great niece. And then there’s the larger Beechy family. We used to get together every other year as a larger Beechy clan. That sort of fell on hard times when Mary got sick. Now we’re sort of at that place where a lot of the cousins that are my age are having health issues and we’re having to figure out how we can start getting together again. But yes, we’re still quite close as a family. What has changed in the Cooperstown area since you first came here? One of the big changes is a loss of farming, small farms. Within the first ten years I think, of starting out in Richfield Springs, I just watched farm after farm after farm go under. Now, interestingly, there is some rejuvenation there. It’s either, there are Amish that are moving up and then there’s niche farming. And God bless Chobani [yogurt]. Oh dear, she almost caught a bird [referring to her cat outside]. So, less farming, more tourism, having the summer [Cooperstown] Dreams Park here has changed it a lot. It’s taken away any affordable rental housing. Most of the money that’s made off of that goes out of the community rather than stays in the community. Like other places, it’s hard for young people to find work here, the big employers are tourism and healthcare. Luckily healthcare is using more people, but many of them can’t afford to live anywhere close. So, I think those are some of the changes I’ve seen. I think it’s always been an interesting and somewhat more sophisticated community. When I got here, there was a lot of music going on in amazingly little places. There was something called Meet the Composer that Carlton Clay put grants together and he’d bring [Virgil] Thomson, [Philip] Glass, these first rate composers to do their music in these tiny venues. In that sense, of having musicians, writers, etcetera, around, that hasn’t changed. But losing much, you know, right now downtown is primarily tourism, and that was different when I came. There was always tourism of course, but it was more small town, with small town industries or stores. So it’s more tourism. Do you think that the switch from farming to tourism has at all affected your work at Bassett? Yeah. There’s still enough farming going on. So one of the really amazing pieces of Bassett is the, I can’t even remember what it’s called now, the farm safety piece of Bassett. [The Farm Safety Fund established by the New York Center for Agricultural Medicine and Health.] So there is still work with farmers. I think Bassett would have grown; it would have either grown or become just a community hospital as part of someone else’s organization whether or not there’d been a switch from farming to tourism. Is there anything that was here when you first arrived that is no longer here that you really miss? Oh there were clothing stores that weren’t quite as niche-y as the ones that are here now. What else? Well, various restaurants have come and gone. I think the big thing is the loss of rental properties and affordable housing. And that’s a problem, I don’t see the community really struggling with that yet. I think Old Forge has put some properties into some sort of a, I don’t remember what’s it’s called, but it essentially keeps them in affordable housing by doing tax incentives and tax rebates. Certainly people that I was close to. But some of my mentors from when I was an intern are still around, and that’s pretty neat. And to know that I’m in that role now with a lot of my residents. So I think we’ve got time for one more question, so how about we do the flip side? Is there anything that you’ve seen since you’ve been here that’s sort of grown up that you’re really excited about? Yeah. I think it’s pretty neat that there’s more of an out gay community, and particularly at church. I think Bassett still has a real potential for doing some exciting things. You know, we did some really creative stuff forty, fifty years ago. Now we need to continue to do some really creative stuff besides grow big. I think the Glimmerglass Festival is a really amazing thing that’s come and Glimmerglass Film Festival that’s gonna be this weekend. More attention to the environment is another important thing. It’s good to see the CGP Program still here and growing. Not sure what else I would say. Okay, well, thank you for your time. Well, you’re welcome. Thank you. 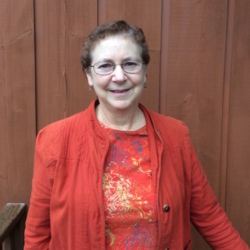 Amanda Belli, “Carol Beechy, November 9, 2016,” CGP Community Stories, accessed April 25, 2019, http://cgpcommunitystories.org/items/show/263.